The thing about home decorating especially during the holidays is that, it never ends (to me at least). My creative brain keeps coming up with ingenious ideas. 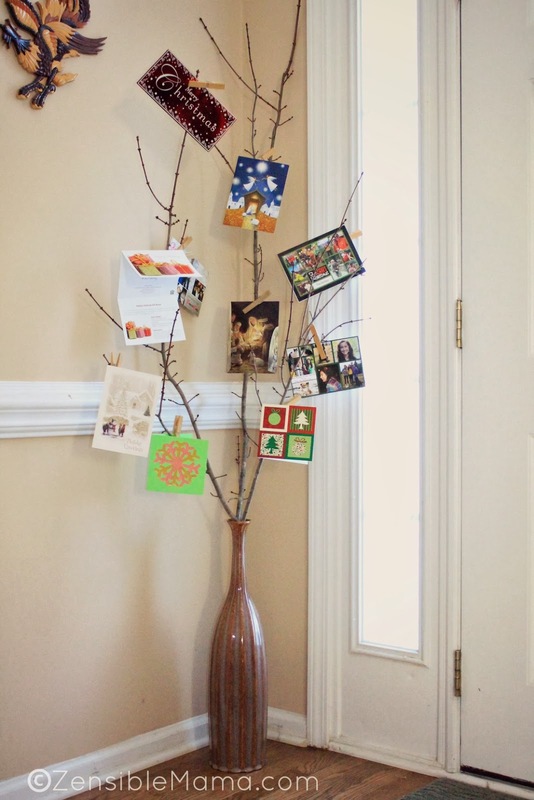 So here's another idea for a Christmas card holder - inspired by a tree! Your very own Christmas Card Tree. And it's easy to make too! Go around your backyard and select the best branch that you think will work well with your "tree". Branches with skinny limbs works best. Note: You won't be harming the tree since most of them are dormant and you'll need to trim them in time for Spring anyway. Trust me, my gardener/landscaper said so! Once you've selected your branches, put them in your chosen vase or receptacle and arrange them the way you want it. Clip your cards on the branches and voila! 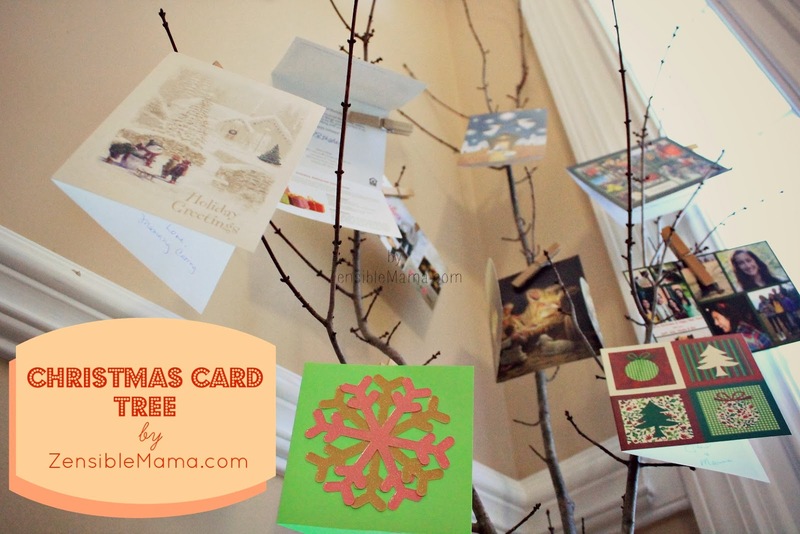 You now have your own Christmas card tree! Easy Peasy! And looks very rustic and unique as well. 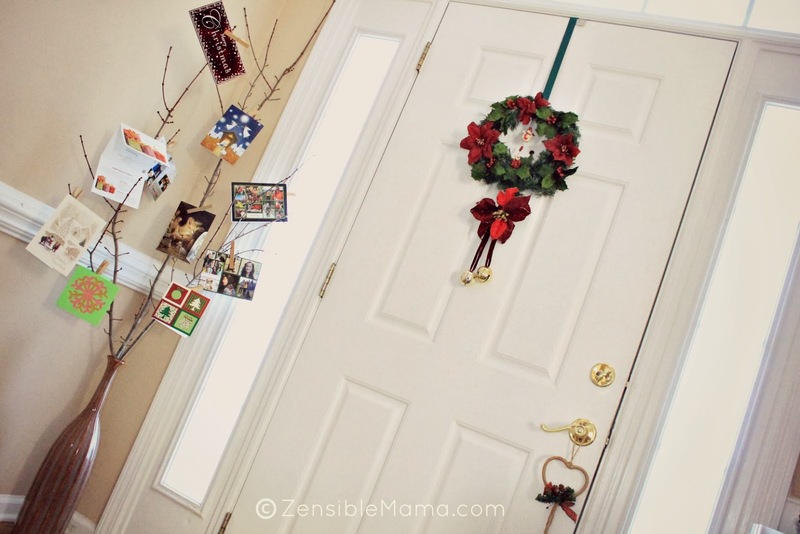 To pretty up your "tree", you can spray paint it with white paint or hang ornaments or lights. I love them natural so I left my tree as it is.